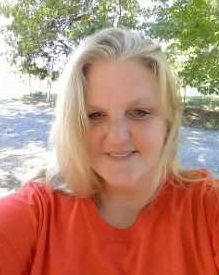 Kimberly Kay Scott, age 48, of Lyles, TN passed away on Wednesday, December 5, 2018 in Nashville, TN. She was born in Nashville on January 7, 1970 to Edward Joslin and Vickie Joslin. She is preceded in death by her mother, Vickie Joslin. Kim is survived by her husband, Michael Covey; children, Kimberly Hope Kelley, Jenna Marie Kelley, Christopher Drake Kelley, Britney Danielle Scott, Dillon Wayne Kelley, and Katelynn Angel Diane Scott; and one step-son, Aaron Michael Covey. She is also survived by 8 grandchildren; her father, Edward Anthony Joslin; and brothers and sisters, Kevin David Scott, Vickie Marie Joslin, Angela Dawn Joslin, Edward Anthony Joslin Jr., Josh Joslin, Jerry Joslin, and Layla Joslin. Nothing meant more to Kim than being a mother and a grandmother. She had a free spirit, which made her fun to be around. She enjoyed the holidays, especially Christmas, which was easily noticed by her many decorations. Mellow Yellow and coffee are what kept her going. A Celebration of Life will be held on Saturday, December 8, 2018 at 9:00am in the chapel of West Harpeth Funeral Home. Visitation will be held on Friday, December 7, from 4:00pm until 8:00pm and again on Saturday, from 8:00am until the time of service. Kim will be laid to rest at Harpeth Hills Memory Gardens. I have had 3 great years to know you. You were the sweetest. You will be deeply missed and loved by many. Everyday Shelbie will know how much you love her. As well your other Grand babies. Til’ we see you again sweet friend. Yes, death. Death must be so beautiful. To lie in the soft brown earth, with the grasses waving above one’s head, and listen to silence. To have no yesterday, and no to-morrow. To forget time, to forget life, to be at peace. You can help me. You can open for me the portals of death’s house, for love is always with you, and love is stronger than death is. I don’t believe I will ever be able to fully describe the depth of my love for you nor the immense pain I feel knowing that you are no longer her with me. I feel like I will forever live my life with sunglasses on, never fully feeling the warmth of the sun because of the overcast I feel from missing you. Everything I’ve ever done or ever plan to do will be done in honor of you. I love you. She loved her grandmother Scott. Kim’s heart was always so big. She was filled with compassion well beyond her days. There are just not enough of Kim’s kind of people in this world. When she gave you a hug you knew you had been hugged and you felt loved. So sorry for your family’s loss. Please accept our deepest condolences. A beutiful friend and wonderful grandmother. You will be missed. Loved you and the family. Dillon is a fine young man. He will miss you dearly but he will grow stronger knowing he has your love from above and will always make you proud up in heaven. You left behind some beautiful children who will keep your memory alive as well as you brothers and sisters who were also my best friends for many yrs. Lots of pain and sorrow on earth but not in heaven.